Company has been settled at 1991 and started production on one of the first digital printer on the world market. During following years has been opened branches in Slovakia, Hungary, POland and later in Austria and Germany. Digital technology completed screen printing and later also offset printing as well as plenty of various finishing machines. Originally produced billboards joined after 2000 also 3d products for POS. 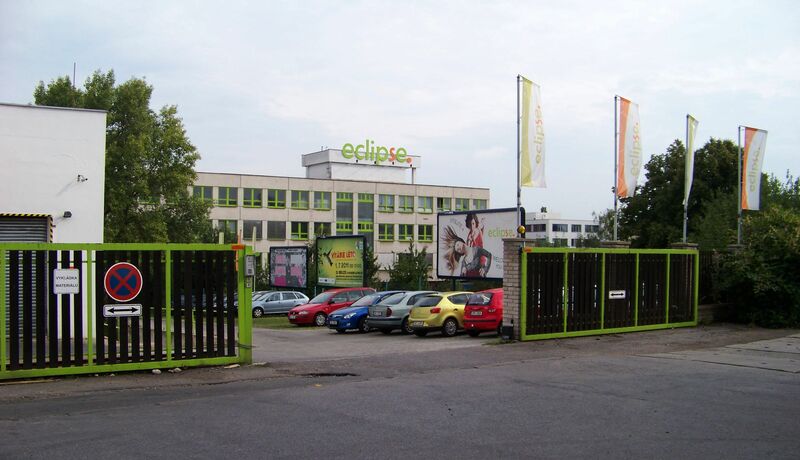 Current arrangement is resurt of connection of brands Eclipse, Get+Comp and Hecht and result of that transaction has been also production in Slovenia and sales offices in Italy and Croatia. Four production houses in Czech Republic, Poland, Slovenia and Hungary and sales offices in Germany, Austria, Italy and Croatia is stabile for more than 15 years.